BARRY COURTER: Lisa, if I told you "I have to push the pram a lot," would you have a clue as to what I was talking about? LISA DENTON: I've seen enough episodes of "Peppa Pig" to know what a pram is, but I know that this reference is a little more adult. Do you also sing from the diaphragm a lot? BARRY: I think I've told you I was that kid who could, and more relevantly (is that a word?) did recite entire Monty Python skits. I was more into the vinyl versions than the televised versions, which meant I listened to them over and over and over. The line above comes from the "Knights of the Round Table" bit from the "Holy Grail" movie, which is the theoretical basis for "Spamalot." We eat ham and jam and Spam a lot." Told ya. I was that guy. LISA: I never would have guessed. LISA: That's another Python reference isn't it? BARRY: Do I say yes? BARRY: It's a fair cop, but society's to blame. 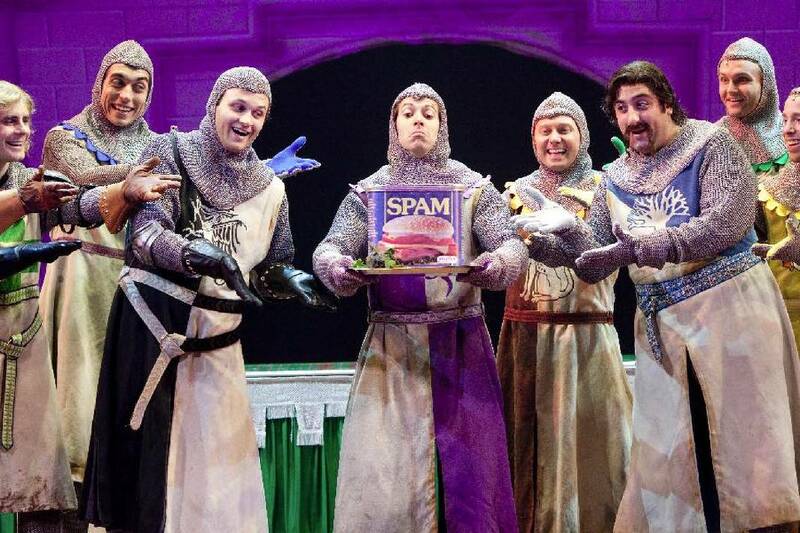 Anyway, "Spamalot" is at the Tivoli for three evening performances Tuesday through Thursday. LISA: Right, and David Sedaris returns to town Friday. He's probably best known for his breakthrough work, "Santaland Diaries," but he has several books and essays and short stories to draw from for his shows. Did you know he has a garbage truck named after him in West Sussex, England, where he now lives? I pick up litter along my street too, but I didn't know that having a garbage truck named for me was even a possibility. The mind reels. BARRY: That would be cool. I spoke to him last week, and we talked about the time he fed a tumor he'd had removed to snapping turtles. Made perfect sense to him. He's at the Walker on Friday, and The Head and the Heart is there on Saturday. Boy Named Banjo is at Songbirds on Thursday. And "all right, all right, all right," "Dazed and Confused" is the next Bobby Stone Film Series movie at the Tivoli on Saturday. Great movie and reminds me of my high school years. The parts when I wasn't being a dork spouting Monty Python lines.